Home > Profile Articles > The FORESDA consortium visited CyberForum! The 7th project meeting of the FORESDA partners focused primarily on best practice examples of connectedness and knowledge exchange with other EU-projects. The three-day meeting was characterized by various discussions concerning the current state of research and development in forest-based industries within the different project regions. The partners were united in the opinion that precisely innovation is the key force to ensure sustainability in the long-term development of the Danube Region. 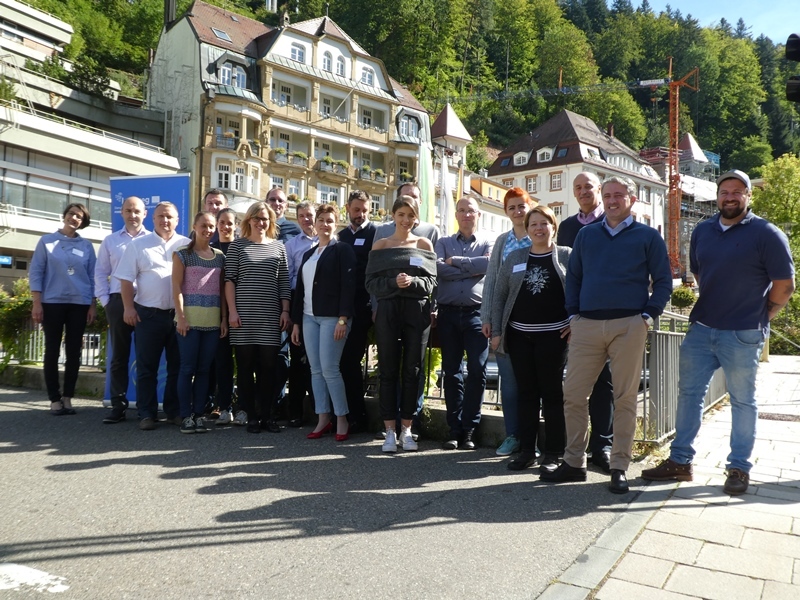 Representatives from other interesting EU-projects were present in Bad Wildbad (ROSEWOOD, AlpLinkBioEco, TripleWood) and facilitated knowledge exchange. Also, the consortium visited the venue of CyberForum e.V. in Karlsruhe, the biggest regional Hightech Business Network, which is lead partner of the FORESDA project. CyberForum e.V. is a non-profit organisation supporting IT- and hightech firms across all development stages. David Hermanns, CEO of CyberForum, and Ceren Akbaba of DIZ | Digital Innovation Centre were able to provide interesting insights into the networking strategy on regional and state level to the partners. Especially interesting was also the visit to the Living Labs - Conducted by the research institute FZI (Research Center for Information Technology). Their research facilities are dealing with some of the most interesting research fields like smart automation, mobility, automotive, robotics, energy, and home. The cross-sectoral approach, which is one of FORESDA's main accents, is being more and more important for further development of the economy in the Danube Region. Accordingly, FORESDA developed ten pilot projects. The pilots should lead to the emergence of new cross-sectoral value chains and increased effectiveness of collaborative research and innovation activities. The implementation phase started in January 2018 and some interesting results have already been achieved. More information about the pilots will be presented during the next project meeting, which will be organized in Belgrade, at the beginning of November this year.